A lovely family home situated less than 10 min drive from the CBD. Come and visit friends and family in Wellington. Great entertaining area's with excellent indoor/outdoor flow. Jump on the train and explore Wellington's many things to do - museums, cable car, biking along the waterfront and of course the many cafes and restaurants. Or stay in Ngaio and climb Mt Kaukau with its views right across to the south island, or stroll down to Trelissick park or into Wilton bush. Just a short drive from the Zealandia wildlife sanctuary. Through out the year Wellington has many events from the French film festival to the spectacular World of wearable arts. This property had everything we needed. It was the perfect layout for us (3 families). The children had their own space and the house had other great communal spaces. It was a lovely house to come back to from long days in the city at Te Papa etc... I would highly recommend. 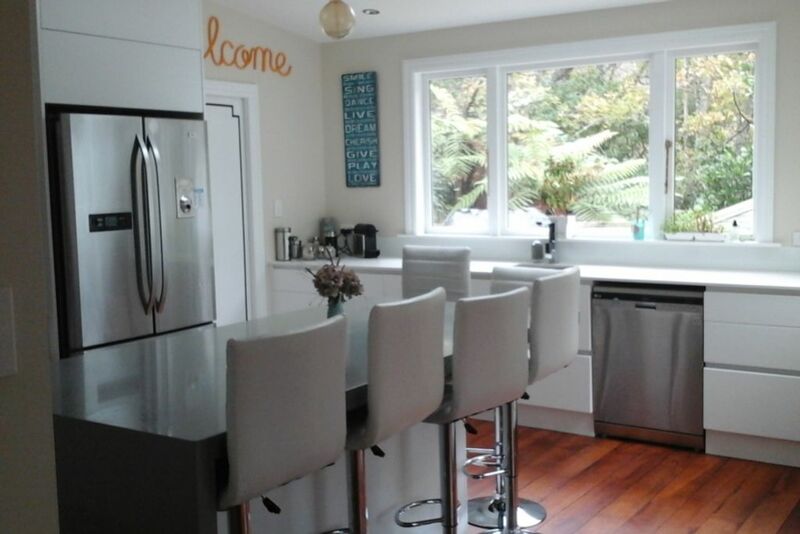 Fantastic property and a great location for a base to explore Wellington. Fantastic property and a great location for a base to explore Wellington. Layout of the property was ideal and: perfectly prepared for our stay. Lovely house in a nice residential area, just across the road from the train station. Walking distance to nearby shops, this is a lovely comfortable home with a welcoming and relaxing ambience. We thoroughly enjoyed our stay. Thanks! An amazing property. We loved our stay! The house is warm & welcoming, has everything we needed for a comfortable & relax stay. The house is warm & welcoming, has everything we needed for a comfortable & relax stay. Kids loved their room, great living/family room layout. Would stay here again, highly recommended to all!